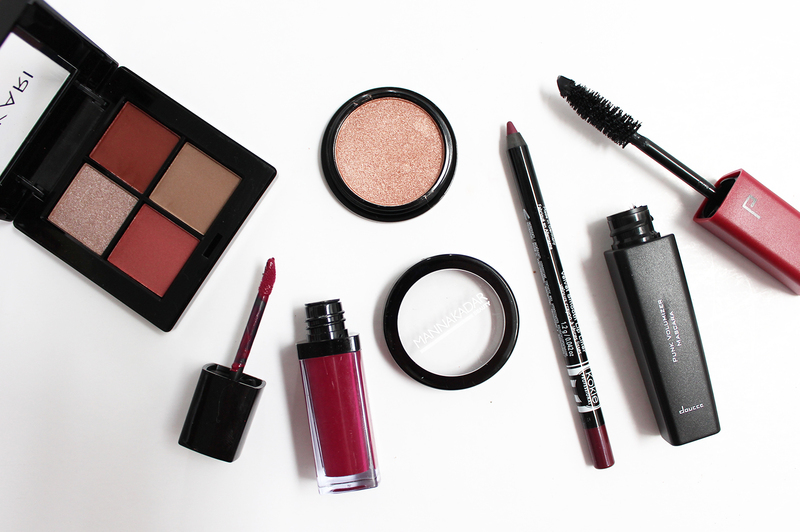 Each month promises a selection of 5 full sized makeup products around a certain theme. For May *, the theme was Berry Crush which is ideal for me as it is Winter in NZ and these sorts of tones always work well. The box was packaged well - this box came inside a large packing box. The contents were covered in tissue and other packings so it was secure and nothing arrived broken or damaged. 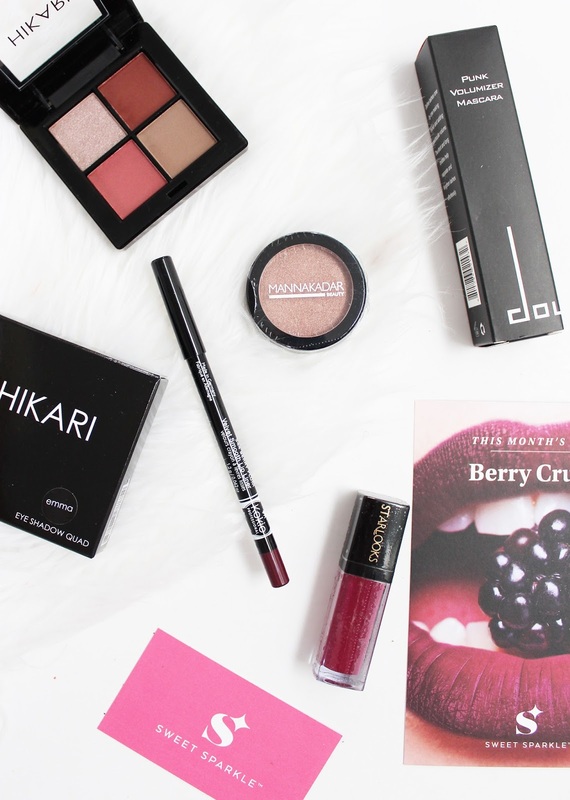 After doing a bit of research, I discovered that this beauty box is affiliated with online store Beauty Joint, of which I have done many hauls from in the past on my blog! They stock a wide range of brands, and it's good to know that the products are easy to buy for those of us outside the US as the box is available to be shipped worldwide. So inside was 5 makeup products from a variety of brands, some of which I have used before a couple I had never heard of. I have received a Hikari Quad in a Lust Have It box a year or so ago, but the shades I got in it were not my style, these, however, are much more up my alley. The shadows are actually really well pigmented and these tones make for such a nice eyeshadow look. There are 3 other colourways that this quad comes in and any of them were available to be in the box. I think this brand has been in previous subscription services (although I can't remember exactly what one). This is a liquid lipstick in a beautiful berry red shade. I was really surprised by this as, to be honest, I didn't have much hope for it as judged by the packaging but once I swatched it, it came out really nice! It dries down to a matte finish and I am yet to try it on the lips, but I think it will be a nice one to use. I actually already own this product as it was part of a Lust Have It box. It's designed to be a blush, highlighter and an eyeshadow, but the shade really only lends itself to being a highlighter or an eyeshadow. It's highly shimmery and it has a really nice buttery, pigmented formula to it. It's more a 2-in-1 rather than 3, that's for sure! Out of all the products, I think I like this one the most! I am a lip liner lover anyway, and this one definitely impresses with a creamy formula that is easy to apply and doesn't drag on the lips. It has a matte finish and it just stays put. 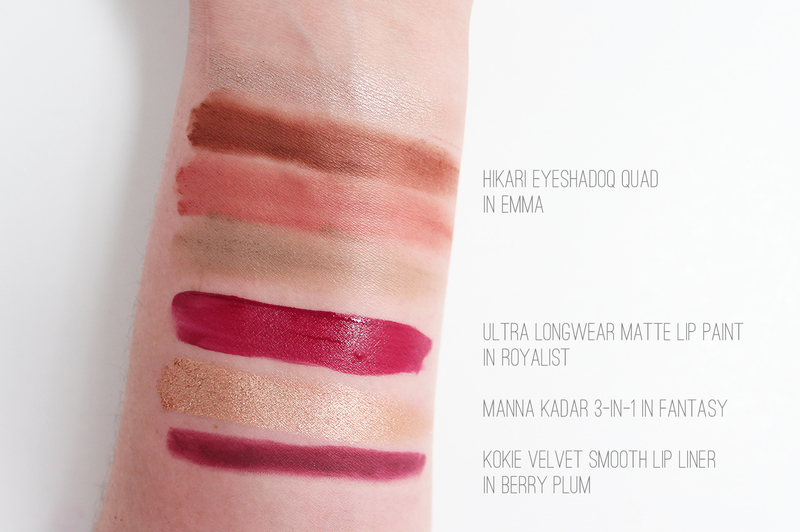 It's ideal to suit many darker lip shades, or it works well all over the lips by itself. I have never heard of this brand before so I did some Googling and they are a brand based out of New York and are cruelty-free. 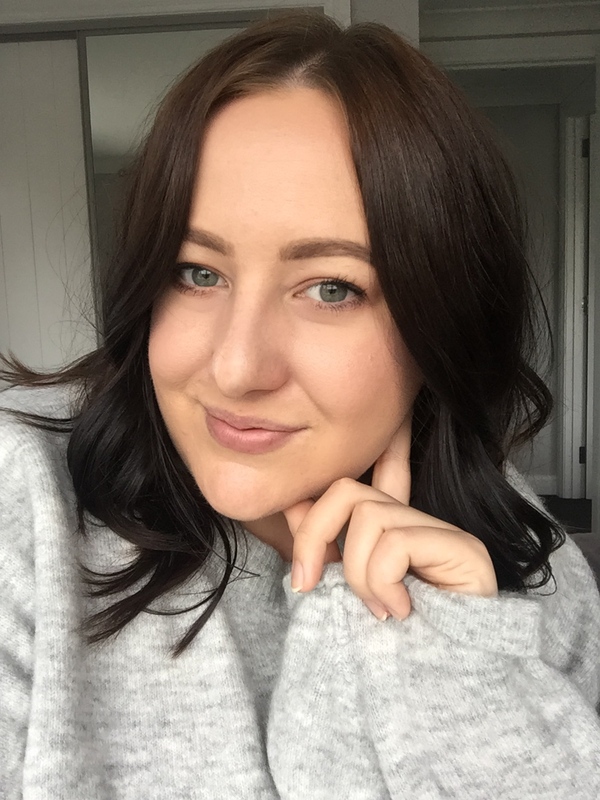 The packaging is simple and nothing flashy, but the wand is massive and actually works really well to build up volume and length in the lashes. So money wise how does this stack up? The Sweet Sparkle Monthly box is USD $24.50 a month which delivered for free worldwide. If you sign up for 3 months, 6 months, or year long subscription each month works out to be a little bit cheaper. The 5 full sized items in the May box all up is USD $83.00 which is a pretty alright deal. Unlike others I have had in the past I would likely get use out of all of these products and I am pleased that it is strictly makeup based. If you are keen to try it for yourself, you can check out their website here. 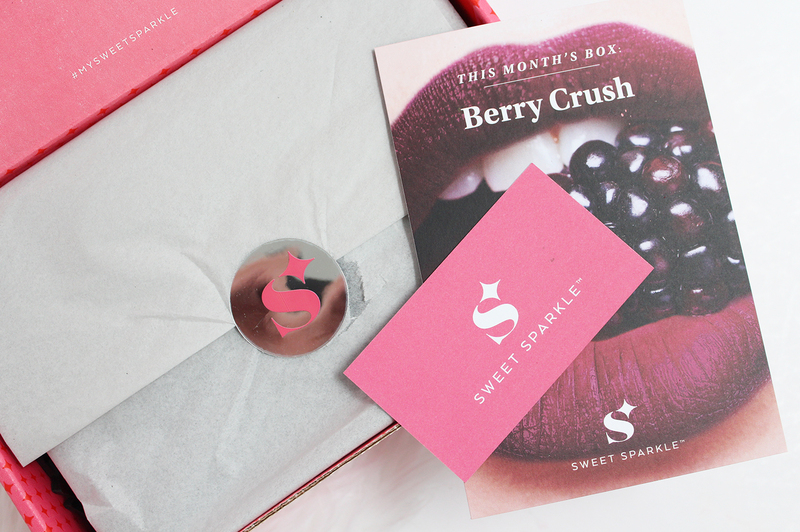 What do you make of the Sweet Sparkle subscription box?